A visitor to the coast line --- A pair of ATSF GP-7's making a detour. I found this on EBay cheap, a Peoria and Eastern Athearn 50 foot boxcar. I sanded down the bottom sill to match a prototype photo of a similar car, replaced the McHenry couplers with Accumates and replaced the trucks with BLMA trucks/wheels. I made bolster bushings out of brass tube for the trucks so they fit the Athearn mounting posts. I'm a sucker for slogan boxcars, so what could be better than "Quicker Via Peoria" hooking up with "The Peoria Gateway"? I patched this L&N GP40-2. First day at the Lawrence train show was great! I don't suppose you have any pics of the innards showing how you squeezed the caps in? Some EP-3 progress, after a long hiatus. For the first time, the model has some visual heft and mass to it. Still a ways to go but I finally can see the finish line. 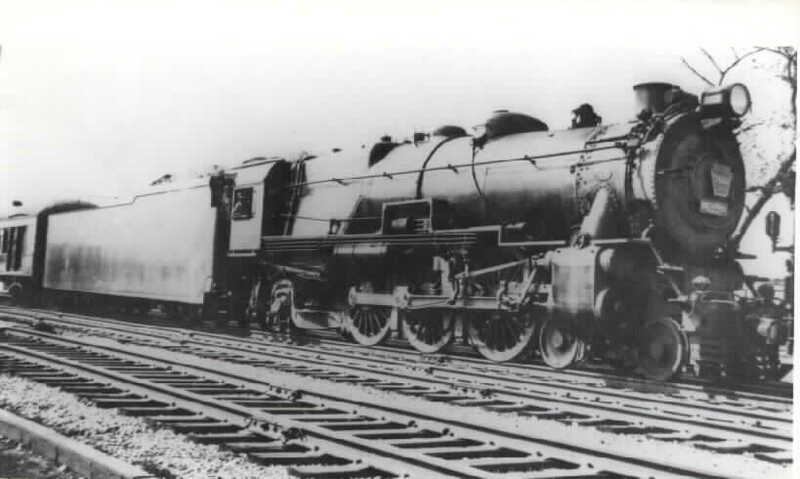 In the late 30's the PRR tried this per prototype and found that the extra weight of the full tender forced one less passenger car for revenue, so they dropped the idea shortly thereafter. I had been wanting to do this for a very long time. I married a BLI Long Distance 210P75 PRR class tender to a Bachmann K4. Tried to put a 13 x 18 Soberton speaker in with the BLI Paragon2 decoder and found out in another thread the Paragon2 has a 50Ohm amp . So to make the wiring easier, I just pulled the Paragon 2 electronics and put the Bachmann Economi in with the Soberton. I think it sounds really nice, see video below. 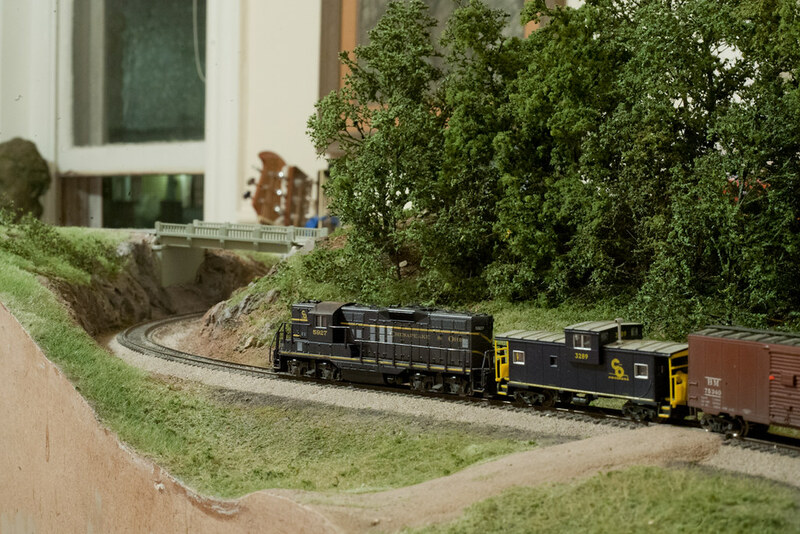 Model Railroaders Trainfest 2018 report showcased a track inspection car for $35. It comes with a level, and a magnifier .. It looks like a very nice product . Well, some things are still within my ability to model -- and I am not going to spend that kind of money for a piece of plexi and a couple of MT trucks .. I still need to get a small level, and a cheap magnifier, but here it is ..
Ha, good eye! Accompanied by Martin and Fender companions hiding behind the trees. This week the workbench was given over to the 9 year old daughter to produce some miniature barrel cacti for her project on the Sonora Desert. The bodies are air dry clay and the spines are 20lb test monofilament. I'll probably add a little more data lettering to the boom car.